Upgrades to Sandbridge Road on the way? Program for the coming fiscal year, and that she “fully expects” the city will adopt the addition. the site of two major accidents in the last month, including 3 fatalities of young children on April 12.
vehicle accident last week when a tractor trailer overturned. extend Nimmo Parkway to the only road that leads to Sandbridge. we think we can get something done quicker to address the existing problems.” Henley was quoted as saying. 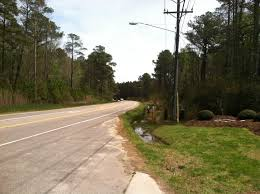 Sandbridge Road ranked 44 out of 67 rural roads in terms of safety in the city. Next Next post: Strawberry Season!